I know it’s already time for Fall! 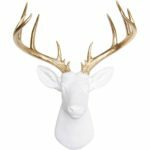 It might not seem like it, but stores are already selling out of their Fall decor. That means it’s time and I’m here to give you tips and some inspiration! 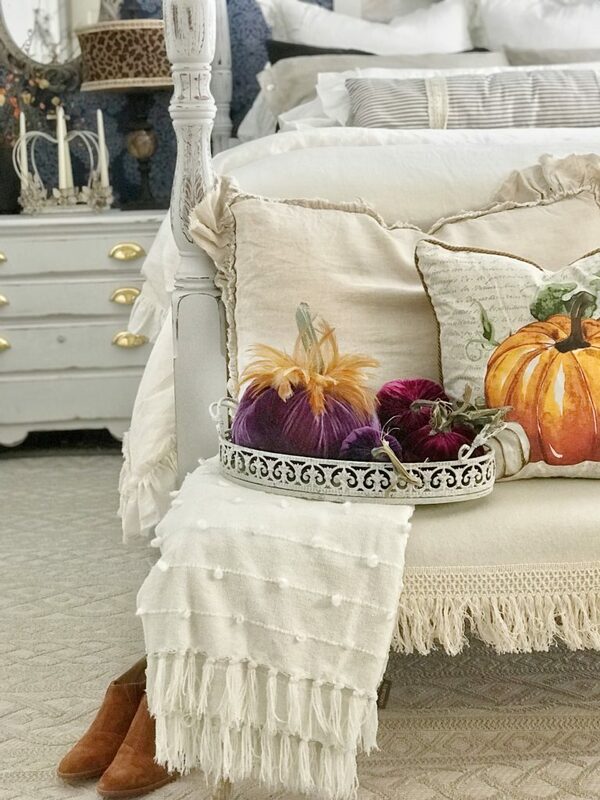 Here’s How to Decorate Bedrooms for Easy Fall decor. First I start with pillows. I will say I might be a little obsessed with them!! They are starting to fill every room. 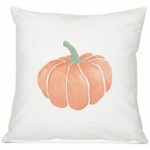 A pumpkin pillow isn’t really my thing, but in this case I think it adds a nice Fall touch. Just try not to go overboard on the pumpkin pillows, it can get a little out of hand if there’s too many. 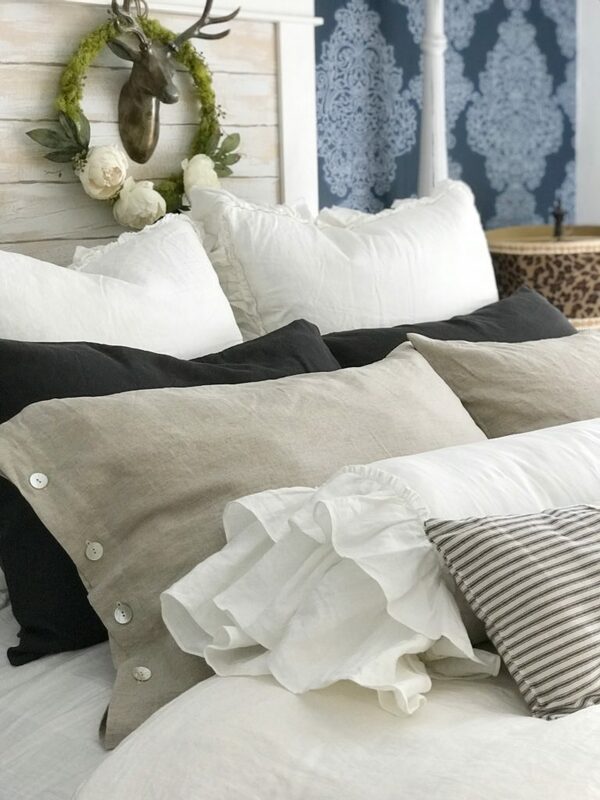 Natural toned linen bedding is perfect for Fall. Natural tones create a cozy feel, just in time for Fall! For my accent pillow, I used a ticking stripe pillow. 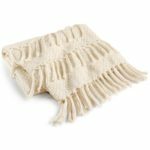 You can find our hand made linens here. To see more of our linens being used check out Happy Happy Nester with her gorgeous bedroom. 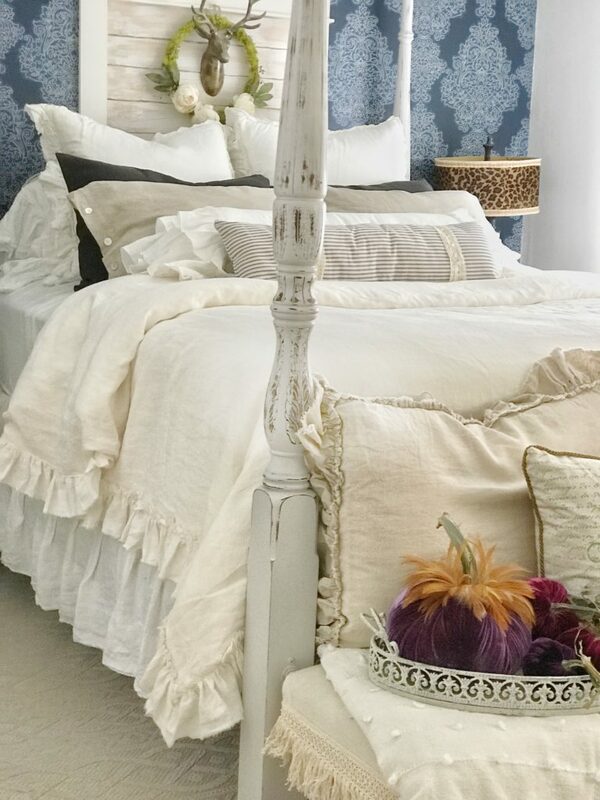 Also check out my friends over at The Design Twins to see a beautiful room they created using our linens. Of course we can’t forget about adding velvet pumpkins. That is a must with Fall decor. When decorating my bedroom, I thought the purple would be a nice pop. You have to check out Love Feast and see all of her amazing products. 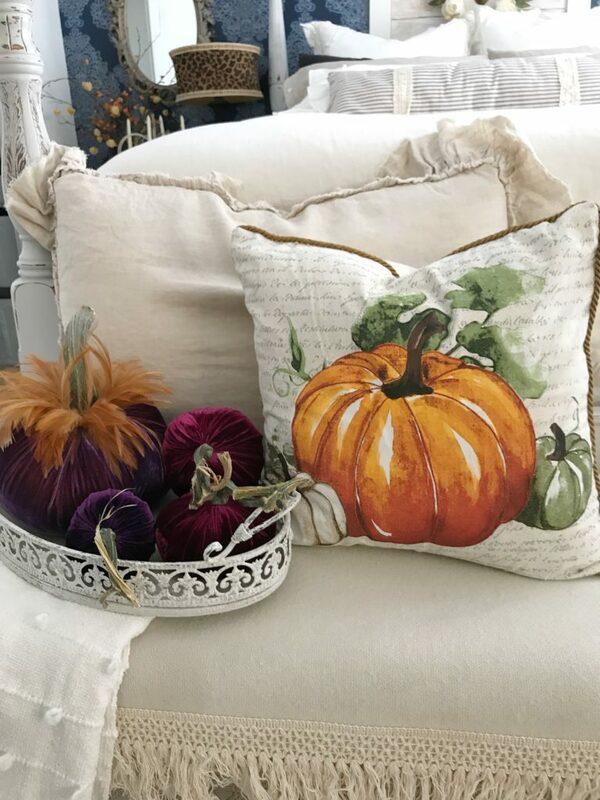 I have a tutorial here on how I made fabric pumpkins. I am in love with the wreath above my bed. 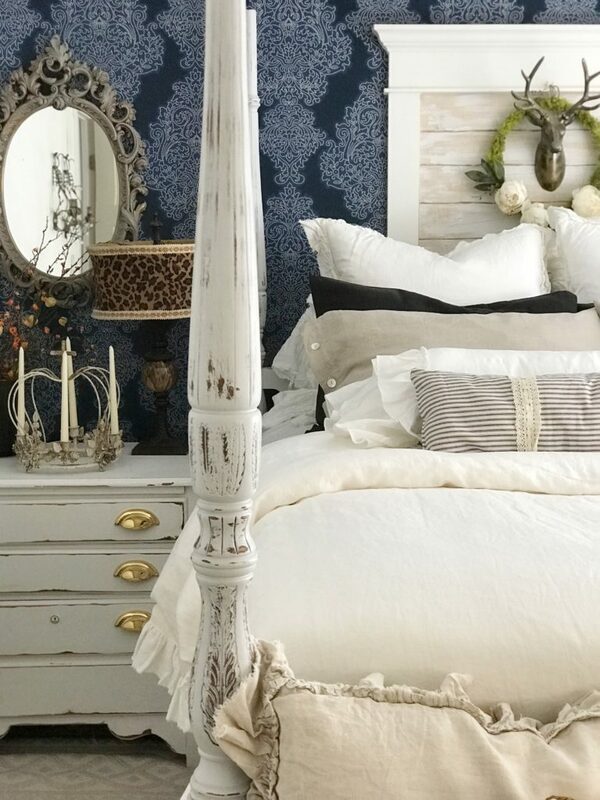 Tiffany over at TiffanysWreathCo made it and it is perfect for my Fall room. What do you do to get you bedroom ready for Fall? I love decorating for Fall, it means having a cozy home. I hope you found inspiration in this post! Be sure to take a look at my Instagram stories for all the behind the scenes. 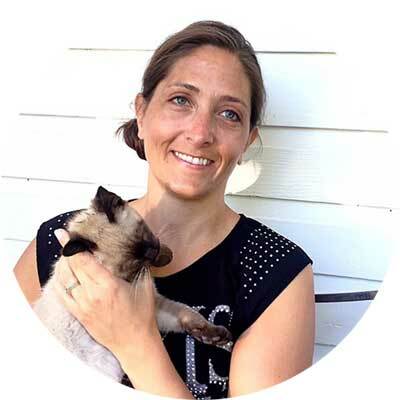 Previous Post: « We Have a Fabulous Surprise-Launching a New Product, What Do You Think? I am amazed at how much you get done. I am still in the summer mode and enjoying the hot temps and gardening. Yep, fall is just around the corner. Thank you for the lovely inspirations. I will be seeing you soon!! Wedding days ahead!! I try to fit it all in!! I can’t wait it’s going to be such a fun time!